Aurora, OH: Video Products Inc (VPI) introduces the addition of the RF and Camera Lens Bug Detector to its popular line of security products. 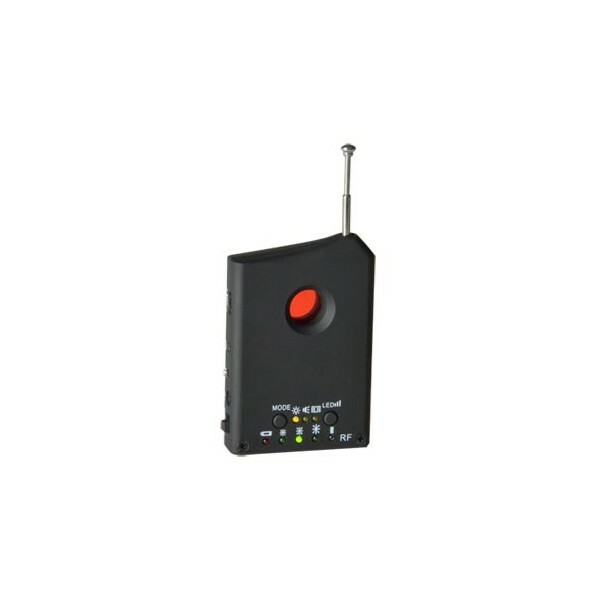 The DET-RFLENS RF and Camera Lens Bug Detector locates both wireless and wired hidden cameras (dead or alive), and can be used to sweep areas for RF (radio frequency) signals from bugs. The unit detects bugs on frequencies from 1MHz to 6.0 GHz, including VHF, UHF, WiFi, Bluetooth, and GSM bugs. With adjustable LED flash speed for camera detection and RF signal strength detection for bugs, false alerts can be prevented. The unit comes with three auto-detecting alarm modes: beeping alarm alert mode (RF detection); silent vibration mode (RF detection); and silent LED alert mode (camera detection). Covert bug detection is possible with a silent vibration alert mode or with included earphones to locate radio frequency signals. When close to a radio frequency signal, the beeping alarm alert mode increases its audio frequency while the silent vibration alert mode intensifies its vibrations, enabling easy detection as the changes scale with the proximity of the bug. 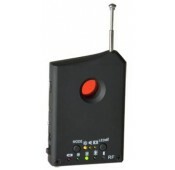 Powered by a 3.7V Li-ion battery, the RF and Camera Lens Bug Detector boasts a runtime of up to 15 hours. The battery can be recharged using the provided 5VDC power adapter (US AC adapter included). Depending on the transmitting power of the RF device, the unit has a RF device detecting range of 0.16-32.8 feet (0.05-10 meters). The camera lens detector consists of 6 LEDs for scanning through an IR filtered lens and features a wired camera laser detecting range of 0.33-65.6 feet (0.1-20 meters). Compact and portable, this unit is ideal for counter-spying measures and various bug and camera detection needs. Available for immediate sale, the DET-RFLENS RF and Camera Lens Bug Detector costs $61. To find out more information, visit: www.vpi.us/security/bug-detector-1669.